Two old rivers with a new twist. 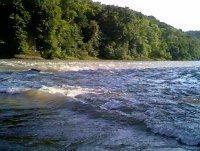 Not that long ago the Vermilion River didn't link to the Illinois River near Starved Rock, the small Tonica river did. While the Illinois River has kept its general direction for centuries, a great river existed to the south of the Illinois River crossing east to west, the Mahomet-Teays River. It is to this river, that the Lower Vermilion once flowed (the flatwater sections south of Streator are part of this river system). The Mahomet-Teays River was buried and filled with loose rock by a southward pushing glacier and now ceases to exist as an above ground stream (it still exists as an underground river and is the Aquifer that many towns such as Champaign-Urbana draw water from). 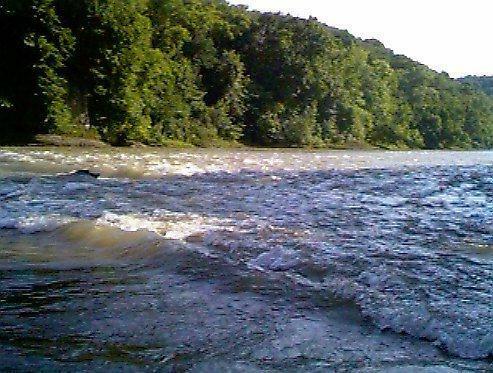 Only the small Tonica River (about 10-15 miles long) entered the Illinois River near Starved Rock. Of course, even if you bury a river, the water sources are still there. With nowhere else to flow, the springs that had flowed into the ancient river began seeking a new channel, and over time it created a new link on the newly deposited Glacial Drift about 15 miles long between the Streator area and Lowell sending their flows into the smaller stream and to the Illinois River. June 96 A rafter died at the Marquette Cement Dam. This dam has what is referred to as a "runnable chute", but it's really just a section of the dam that was blasted with dynamite by the IEPA to create a way for fish to travel upstream. When you do find the chute at low water levels, beware of rebar and other debris. 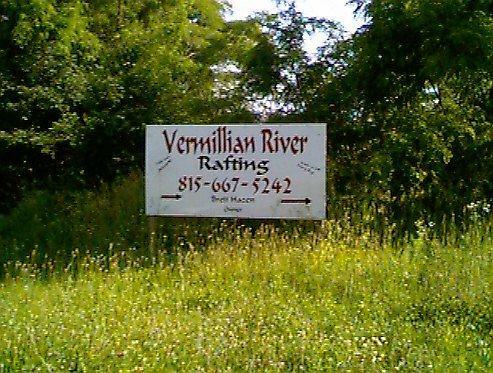 If you've never been here, rent a raft and explore it. The rafting company offers guided beginner trips as well as unguided trips so you can see what your getting into within the safety of a group. If you've never been here, rent a raft and explore it. Don't attempt to run this by yourself, there have been fatalities here. The only true whitewater in northern Illinois, the Vermilion River runs just west of Starved Rock State Park. This river is a Class II River with one Class III Rapid (Wildcat Rapids). The gauge for this river is located on a bridge pillar at the Lowell Bridge. 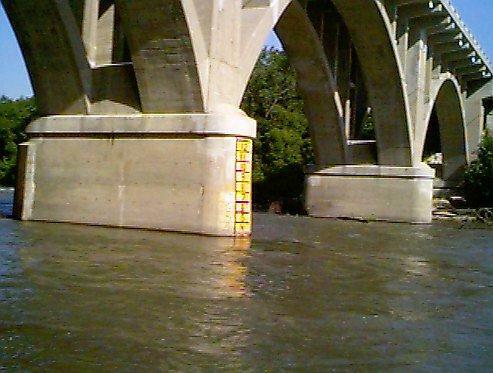 If the gauge reads 4' or above, the run should only be attempted by experienced boaters. At 7' on the gauge, the river is in flood and should only be attempted by expert paddlers.. Wildcat Rapids (class III) can be recognized by huge boulders on river right just after the river bends right - several miles into the trip. Scout this drop from river left if you are a first-timer. Beware of the Marquette Cement Company dam a mile or so below Wildcat Rapids. There is a warning sign suspended above the river before the dam. The cement company allows portages on river left - takeout above the warning sign and use the road through their property. A more difficult but shorter portage can be made on river right just before the drop. A runnable chute is on the far right, but beware of the side culer at the bottom of the chute and watch for rebar at lower levels below the dam. The run becomes more difficult at lower water levels. DO NOT MISS THE CHUTE AND RUN THE DAM!